My recent trip around the Brecon Beacons called for a revamped setup. Unsurprisingly, my gear lust got the better of me. 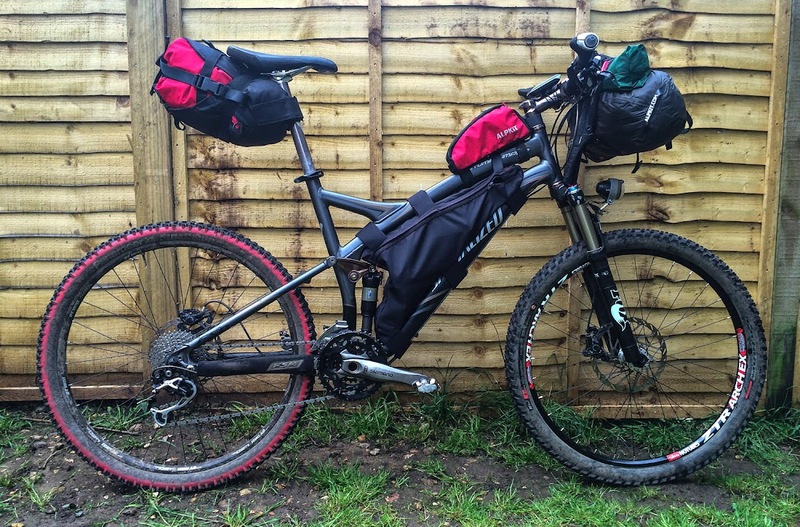 I decided I would need a full-suspension bikepacking rig instead of my usual rigid 29er with panniers. Fortunately, I already had my dusty but trusty 2008 Stumpjumper. 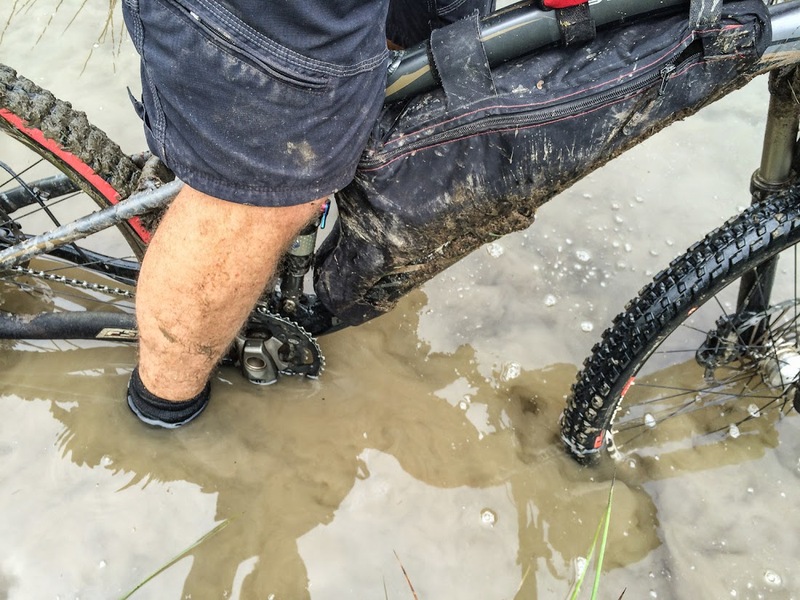 I just needed to tweak it for bikepacking, right? Just a few new bike bags, a tarp tent and a bivy sack. Hmmm, the cost was quickly adding up! In an effort to keep it cheap, I decided I would order materials and make this gear myself. In hindsight, perhaps it was a little overambitious given the short notice. I spent a few solid days swearing at the sewing machine, fumbling about with my shaky coffee hands. 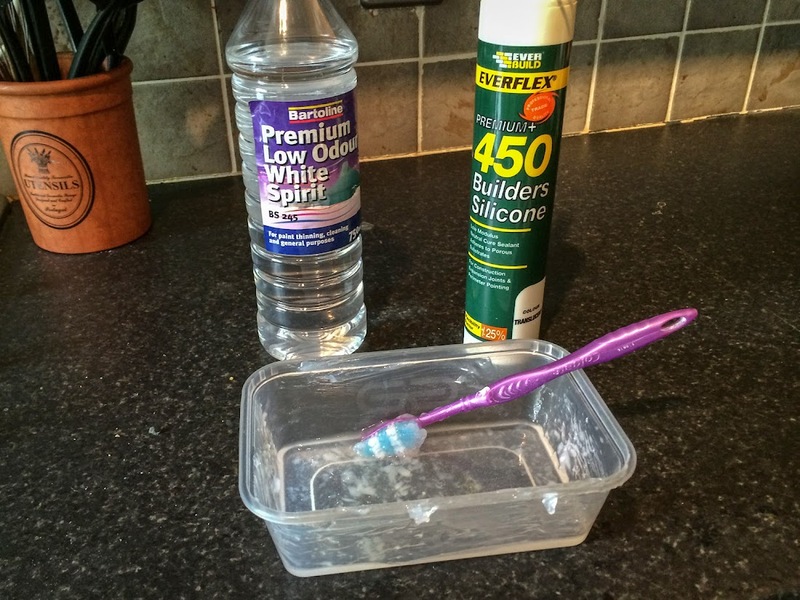 In attempting these ‘making your own gear’ (MYOG) projects, I developed great respect for the pros who are making the top tier gear – Wildcat Gear, Porcelain Rocket, Revelate and AlpKit. 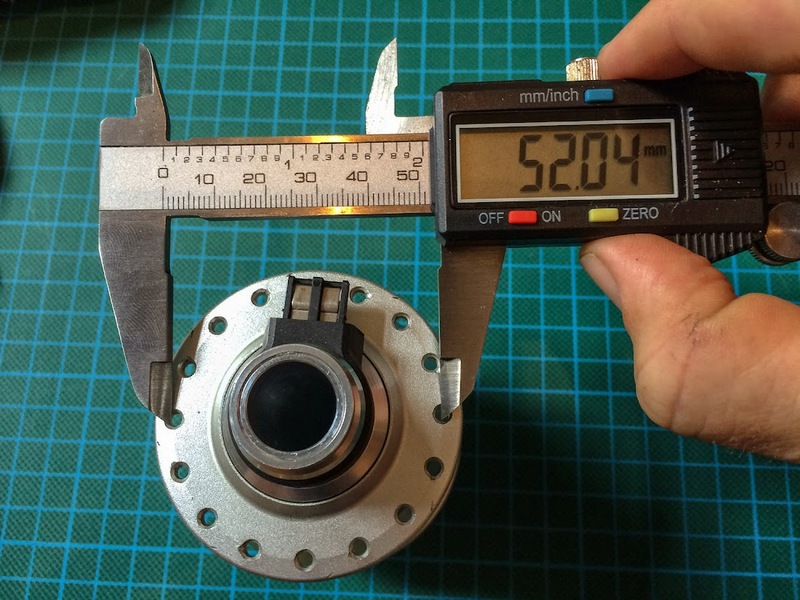 To top off my excessive gear prep frenzy, I decided to build a new front wheel with the shiny PD-8X dynamo I received from my Charlie at Intelligent Design Cycles. 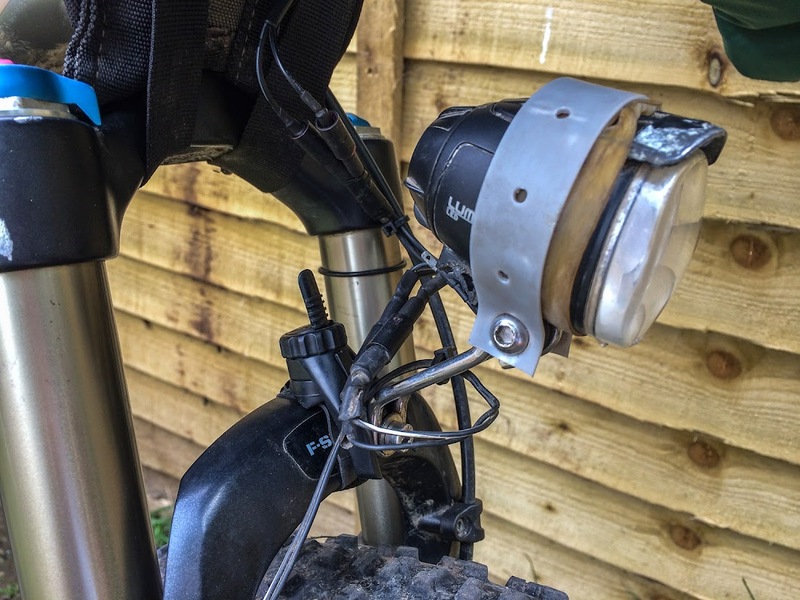 I was planning to pair it with a new kLite Bikepacker 1000 light for super bright off-road light pollution. Unfortunately, the light didn’t arrive in time from Australia, so I had to jerry rig a temporary solution with my broken B&M Cyo light. This worked for about four days until the cables disintegrated on a jaw rattling descent. Bikepacking is (obsessively) focused on a lightweight camping setup tailored for off-road cycling. 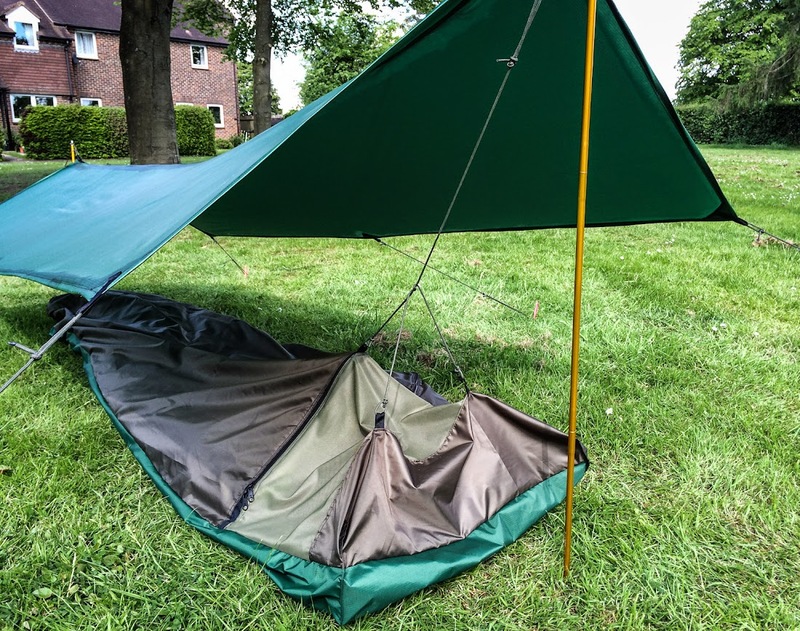 This normally includes a spartan one-person tarp and bivy sack which can be easily and securely strapped to the bike, normally without pannier racks. 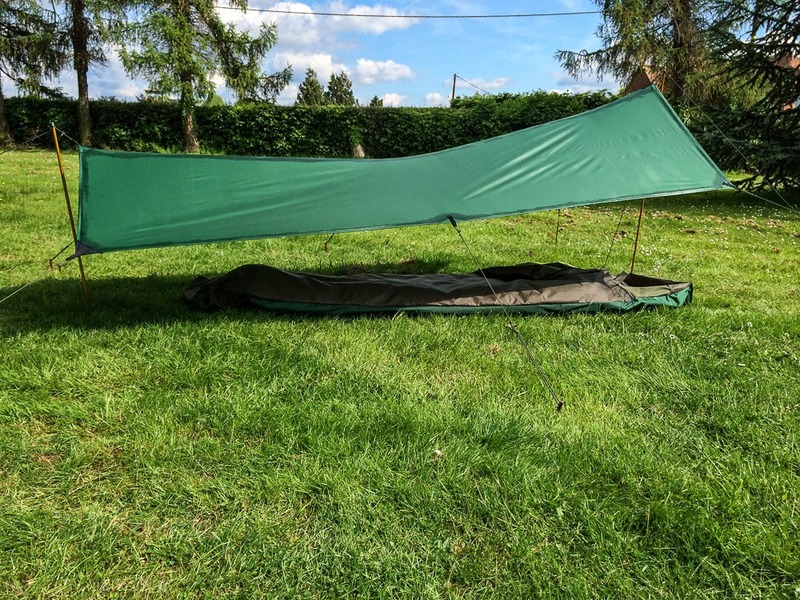 I decided to build a simple A-frame catenary tarp design and waterproof bivy. I found some helpful designs posted by Jamie Shortt. 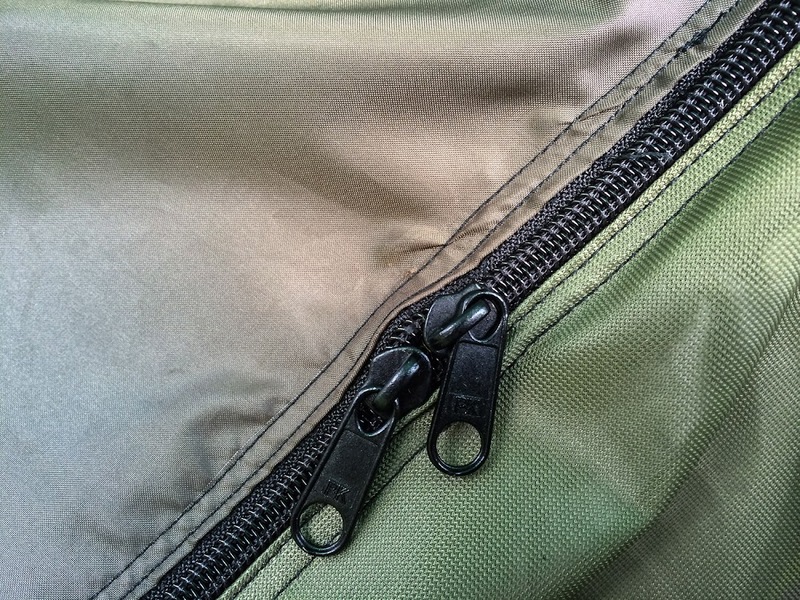 There are lots of variants of this posted on backpackinglight.com and the MYOG section of the BBB forum. I ordered all my materials online from Point North Fabrics. Simon was really helpful in recommending the best fabrics, webbing and fasteners. 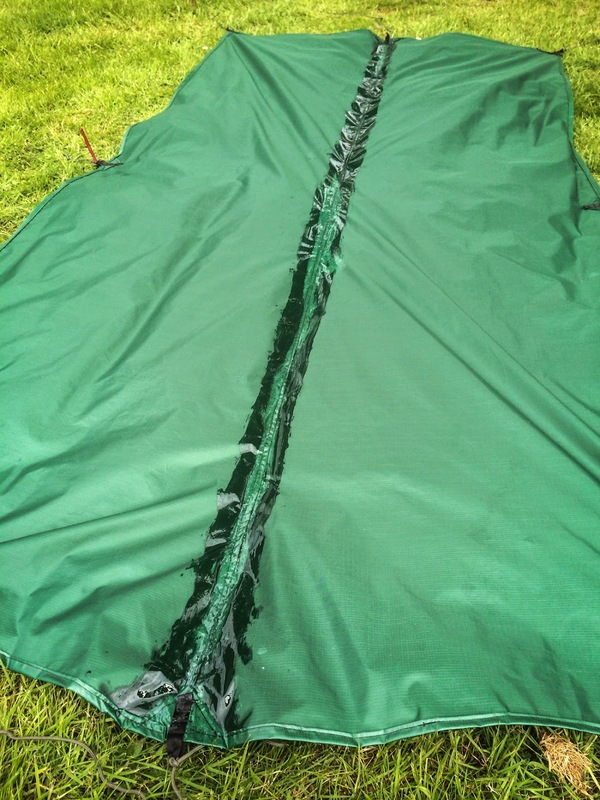 For the tent, I used a polyurethane coated ripstop for the tarp tent and a DIY seam seal for the ridgeline. It was a good first project, because the sewing is quite basic and the material is easy to work with. 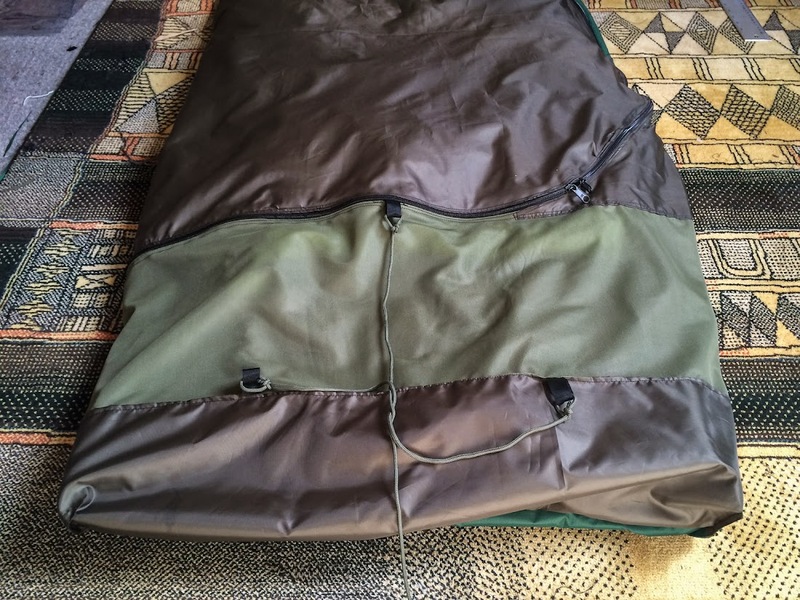 The bivy sack was a little more complicated, partly because of the curving zipper and bug screen. 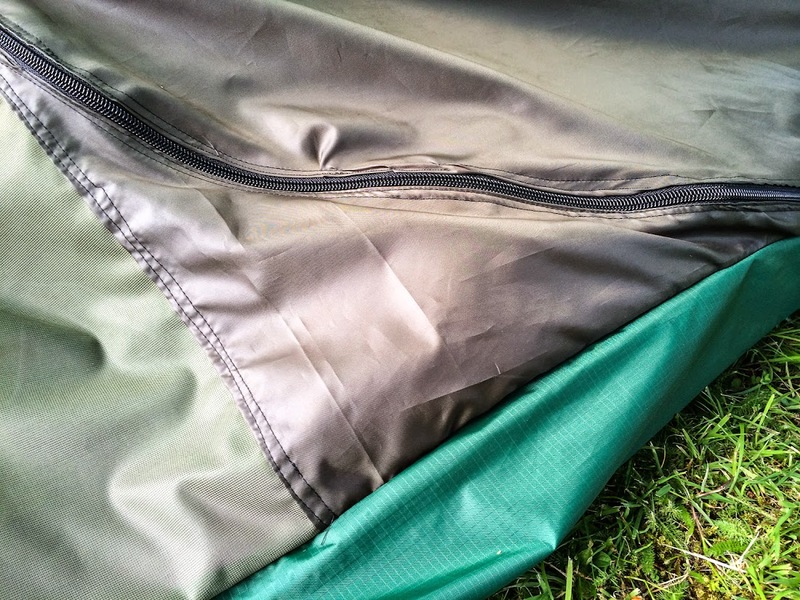 I used the same PU coated ripstop for the base and a lighter, more breathable Pertex material for the top side. 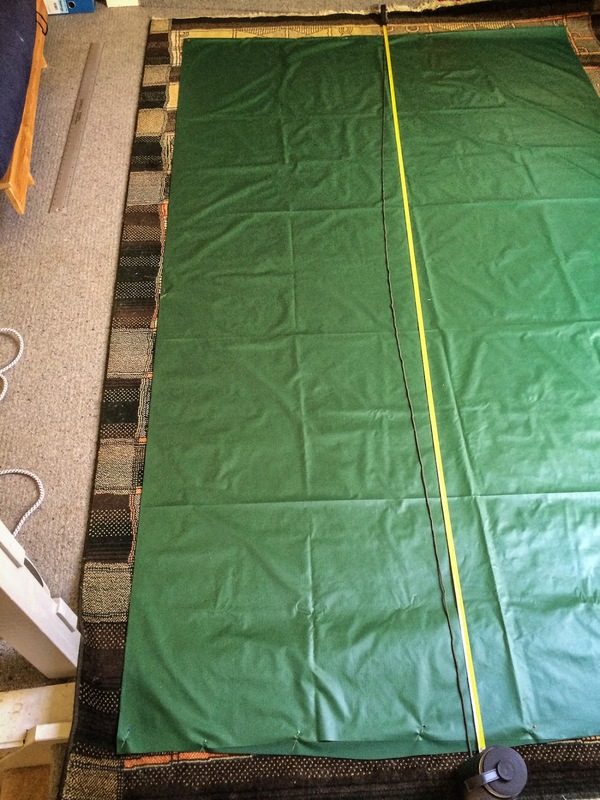 I used a bit of guy rope to approximate a 3 inch catenary ridgeline. 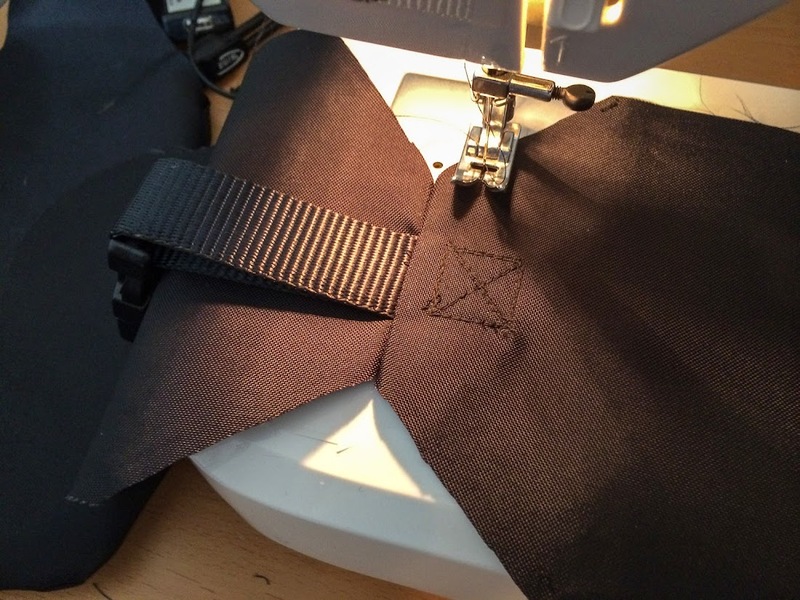 … brushing the goop onto the seam with a few inches on either side to cover up all the holes from the sewing pins and needles! 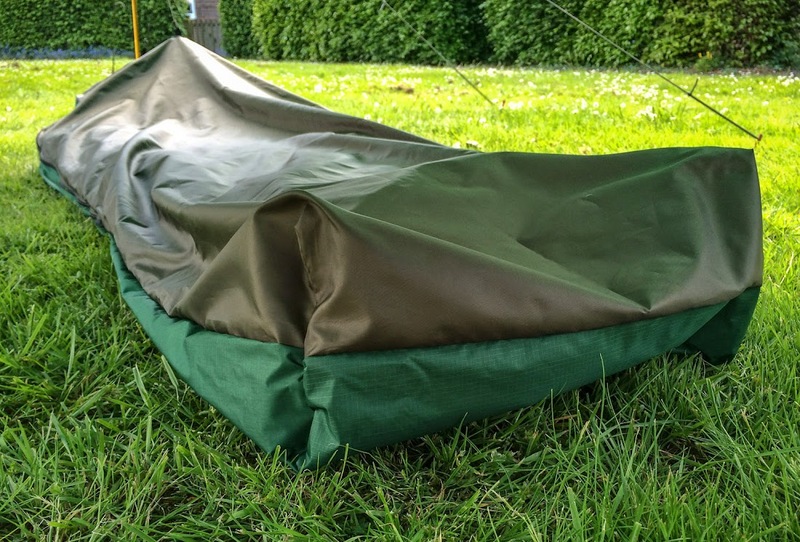 The mosquito net on the bivy sack provides great protection from the bugs, but requires a simple tie-up to keep it off my face. Double stitched seams, but not particularly straight stitching! 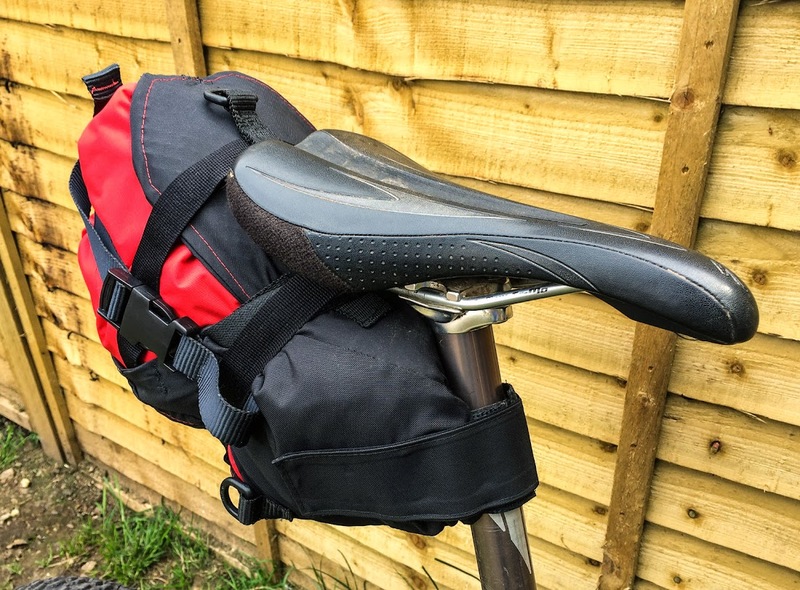 In order to leave my old Ortlieb panniers at home, I would likely need a handle bar bag, frame bag and seat bag. 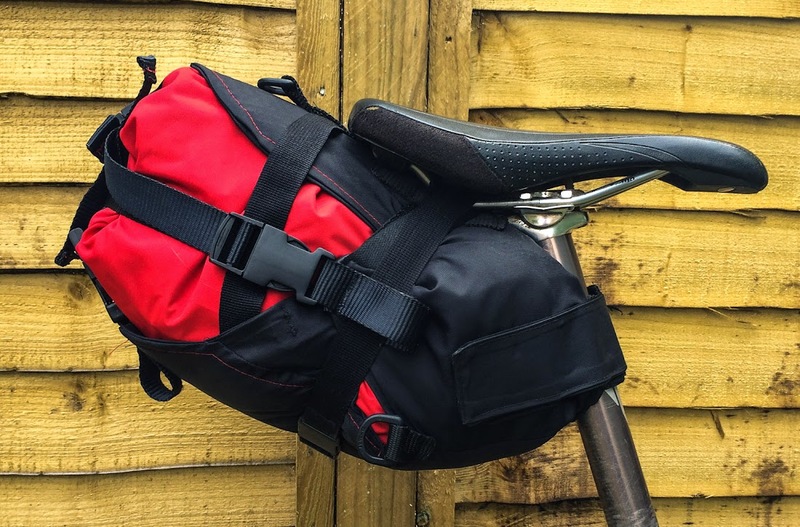 I managed to find a used AlpKit Kanga, Fuel Pod and Airlok dry sacks on the cheap, but the frame and seatpost bags would have to be custom builds. I ordered some Cordura and buckles from Point North and set off on another coffee fuelled sewing binge! 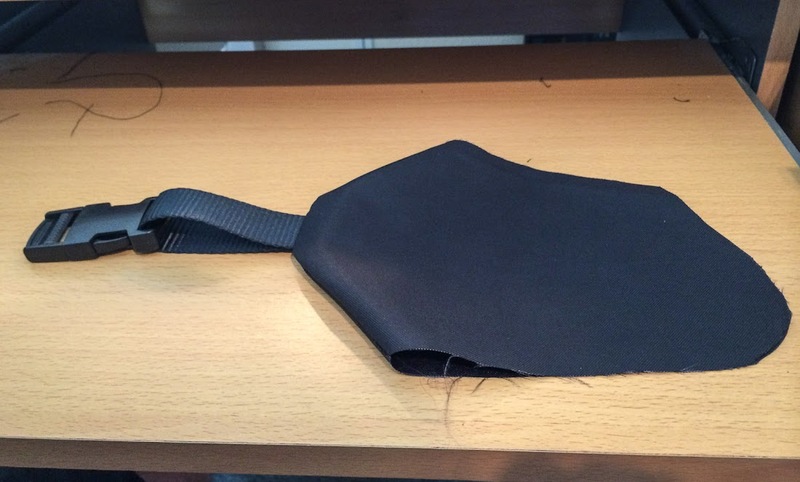 I started with the seat bag, which turned out to be much more difficult that I had imagined! It’s a tricky design to get right! Consequently, I spent too much time refining it and didn’t have much time left for the frame bag. 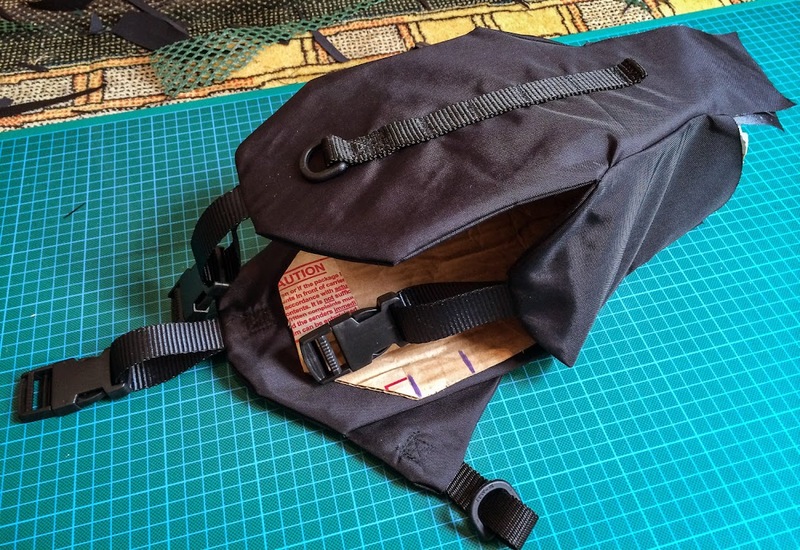 I ended up hurriedly stitched together a frame bag the night before and didn’t capture any photos of the build process, but you can see the finished bags on some of the photos below. 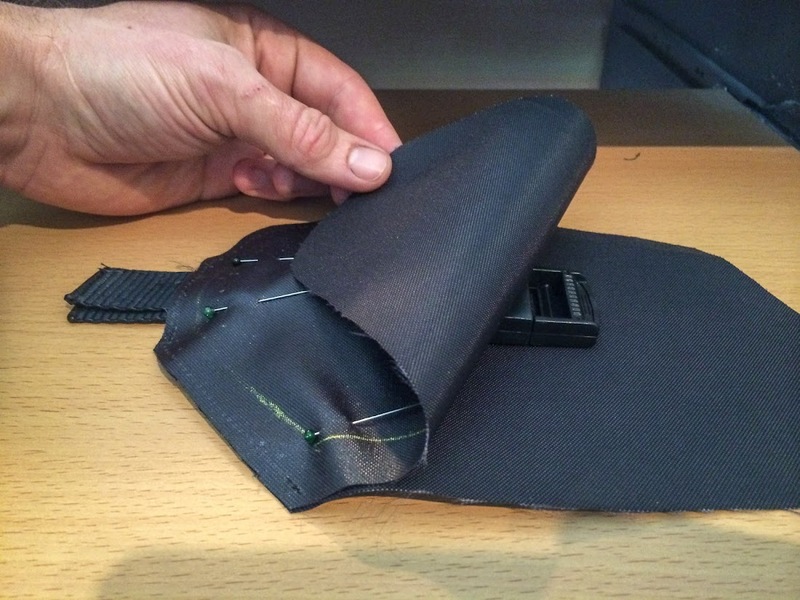 Prototyping really helps to visualise the shape and fit before committing with expensive fabric. … In my haste, I didn’t capture any photos of the frame bag build process, but here’s a shot of it in use! It worked alright, but I need to add a strap around the steer tube to keep it from sagging and rubbing on the rear shock. I may also add some more foam to stiffen the sides for a more well defined shape. I actually considered sticking with my rigid 29er for this trip because I couldn’t stand the thought of riding without my PD-8 hub dynamo. I was thrilled when my friend Charlie @ IDC gave me the chance to test out the new PD-8X. 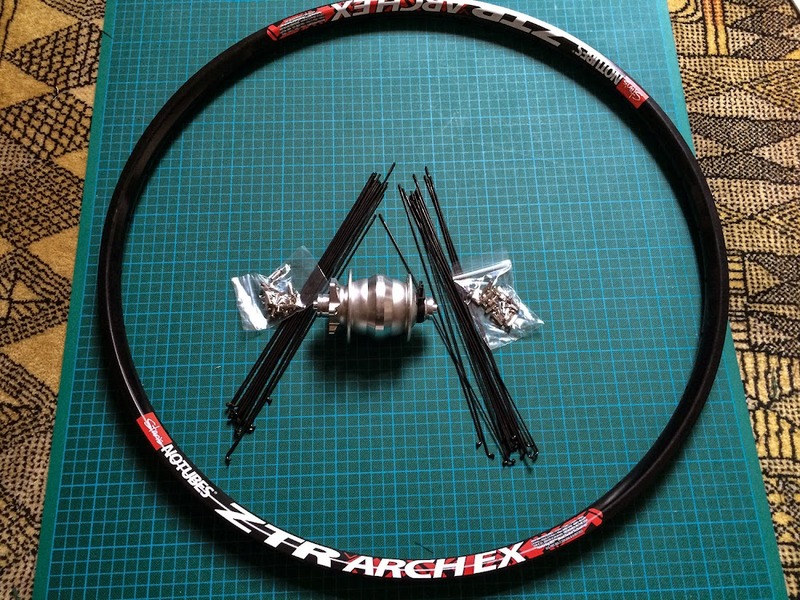 I ordered a Stan’s Arch rim and some DT Competition spokes and laced it up as per my usual ritual. 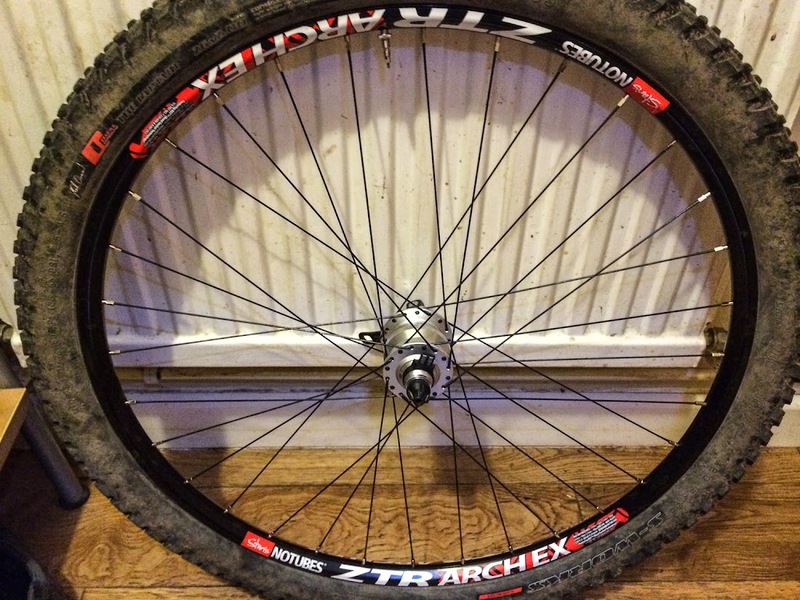 the finished wheel fitted with some dirty ol’ rubber! Unfortunately, my new kLite 1000 didn’t arrive in time, so I had to jerry rig a mount for my broken B&M Cyo light. I used an old Cateye mount with some plumbing hose clamp stuff and some random nuts and bolts! It lasted for about 4 days before falling apart on a rocky descent. My finished compression seat pack inspired by the Wildcat Tiger design, but not nearly as good! I think a MKii will be necessary at some point! 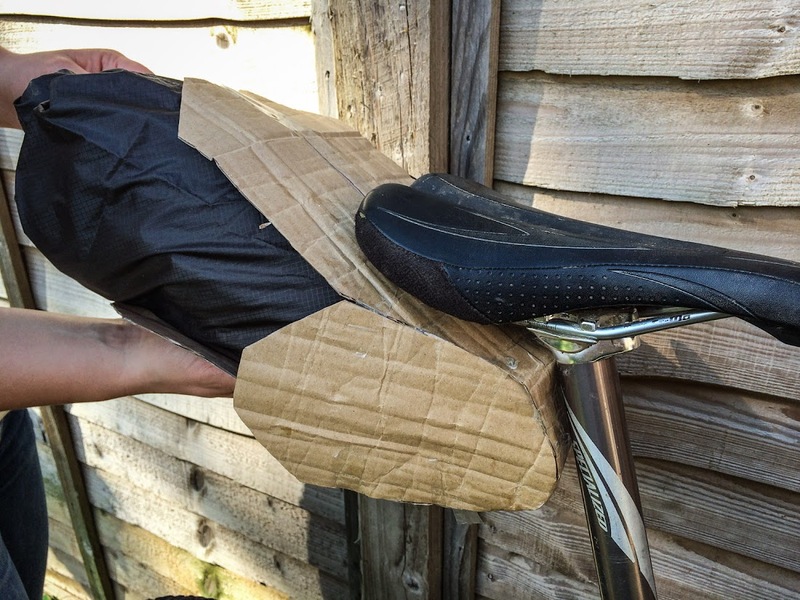 Clearance below the saddle could be better, panels could stiffer and lateral sway could be reduced! 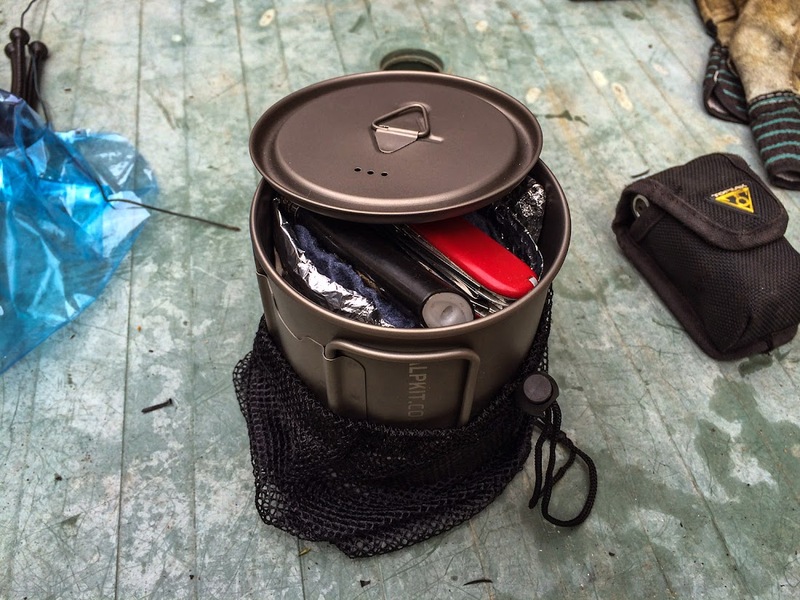 The whole kitchen including meths stove packs away inside the 750ml MyTiMug. 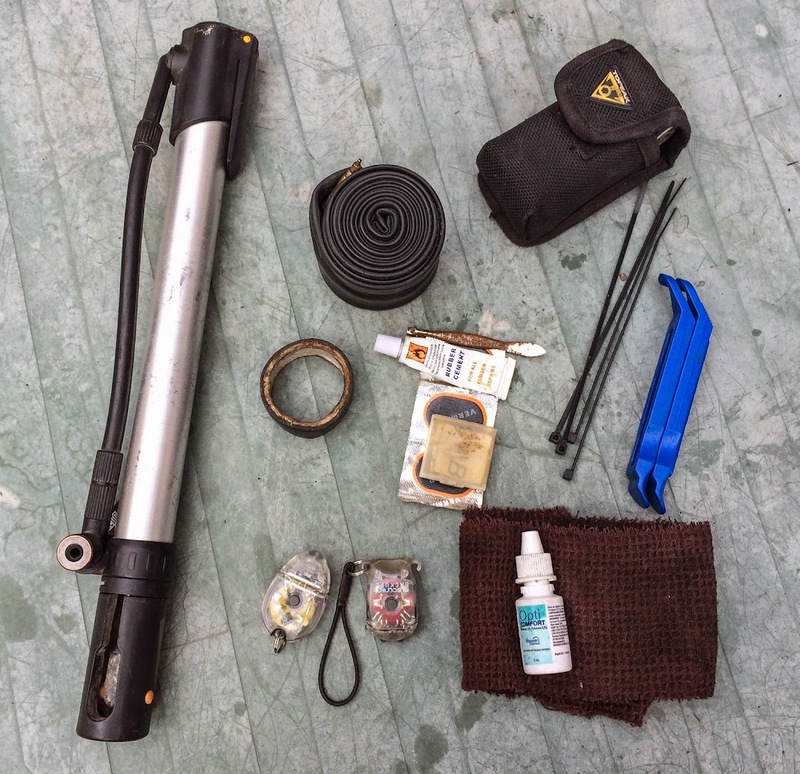 3 Responses to "Making More Gear For Bikepacking"
Man, you are slaying some DIY gear! Nice work! Happy Birthday, hope you had fun and got a cool present or two. 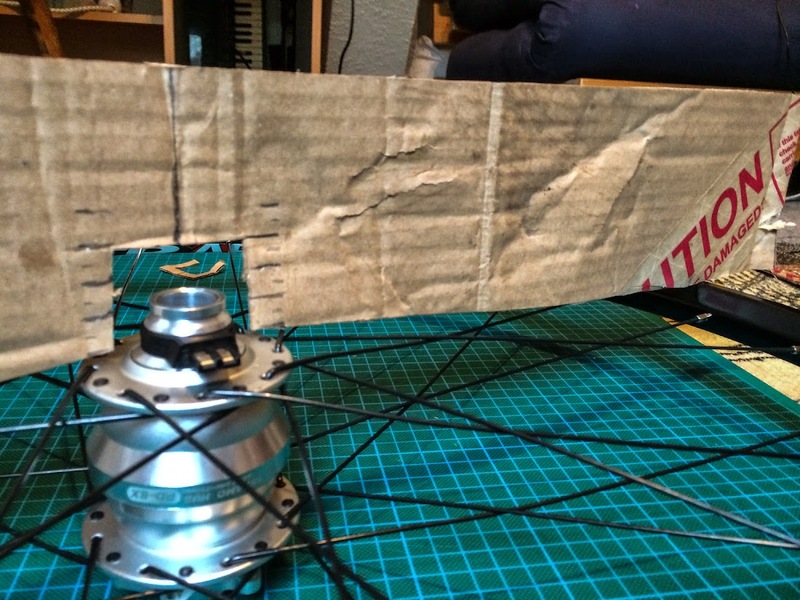 So have you been able to figure out how to lace up and true a wheel from your book? That wheel looks nice. Making your own bags looks like a labor of love. I finally brought a new MTN BIKE I got a Focus Blackforest, it was in the budget its nice to have disc brakes and a lock out fork. Oh and I went with the 27.5 wheels. Its replacing my Trek STP 200 from 1998. It sounds like you and Jen are doing good. Have a good summer take care. Hey if you can go see the TDF. Hey John, that’s a nice bike you got there. Focus is doing some really great value machines, both on road and off. I am curious about the 27.5″ trend, but I don’t have room for any more bikes in my shed! I guess I need a bigger shed!